You cannot turn the ignition switch to LOCK and remove the key unless the shift lever is in . 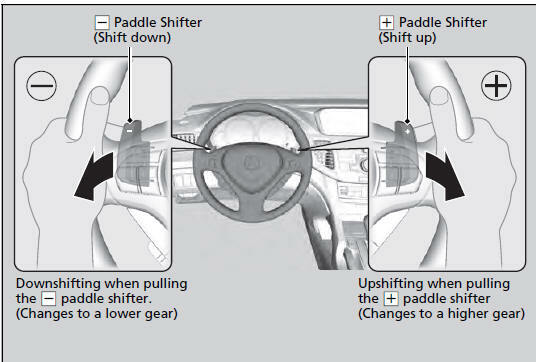 Whichever position the shift lever is in when driving, a blinking (D indicator indicates a transmission problem. 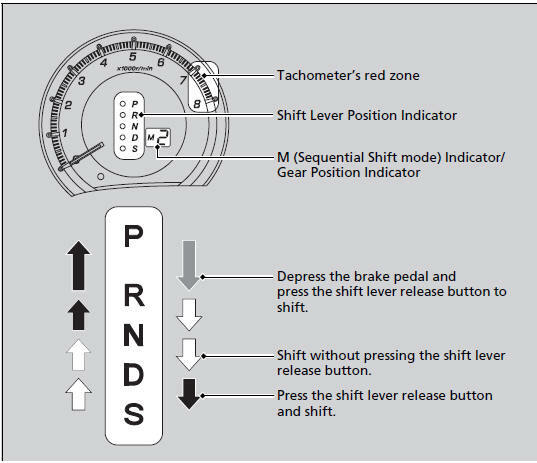 The vehicle will go into the sequential shift mode, and the M (sequential shift) indicator and gear position indicator will come on. At speeds of 6 mph (10 km/h) or less, the vehicle automatically shifts down into 1st gear. It will not automatically shift up, even if vehicle speed increases. You can only pull away in 1st or 2nd gear. When switching out of the sequential shift mode, move the shift lever from to . When the sequential shift mode is canceled, the sequential shift mode indicator and shift indicator go off. 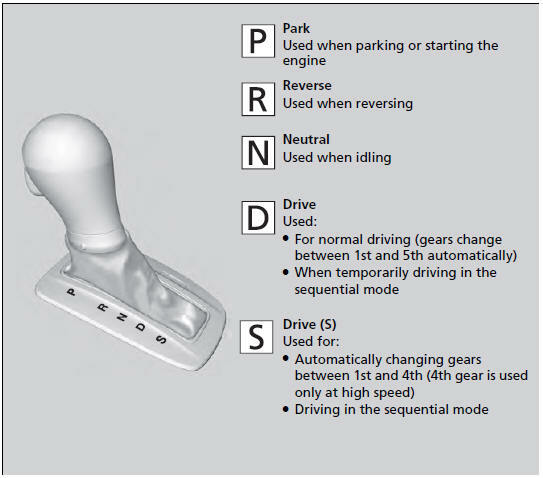 To cancel the 2nd gear lock mode, pull the paddle shifter, or move the shift lever from to . If the gear position indicator blinks when you try to shift up or down, this means your vehicle speed is not in its allowable gear shifting range.